Kampala — Uganda has only 320 dentists licenced to practice in the country, resulting in a manpower shortage that the Uganda Dental Association (UDA) attributes to limited training institutions. Uganda's population now stands at 39 million, according to mid-year projection by Uganda Bureau of Statistics. 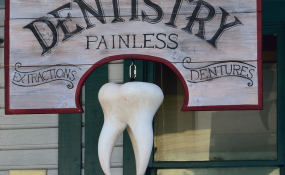 Whereas not all have tooth-related problems, and may never develop one in their life-time, the current statistics in theory means that there is roughly one dentist for every 122,000 citizens. That is multiple times higher than the World Health Organisation-recommended dentist to population ratio of 1:8,000, the dentists' fraternity said in Kampala on Wednesday. "This is a huge burden, almost impossible for some countries to think of, especially in developed countries," said Dr Ayub Twaha, the UDA president. Dr Twaha during a press conference in Kampala on Wednesday, cautioned Ugandans against the habits and cultural practices that encourage tissue mutilation (false teeth extraction) since it has no scientific basis and could potentially disorganise teeth of children and later adult. "There has been misconceptions that expectant women should not seek dental care, but this is not right," he said. Dr Goretti Nakyonyi, a UDA official, said available institutions training dentists are handful and enrol fewer students. "Despite the fact that there are dental officers (diploma holders), they cannot conduct canal treatment or perform extractions," she said. The Health ministry's principal dental surgeon, Dr Juliet Nambajja, said a facility for training dentists being built in Masaka District with the help of Pakistan should be ready by end of next year.